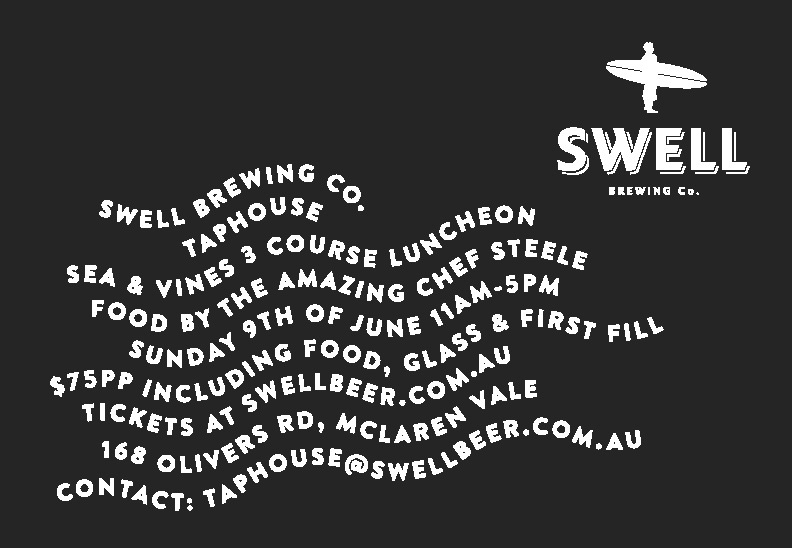 Spend the day enjoying Sea & Vines at McLaren Vale’s newest craft beer venue: Swell Brewing Co Taphouse. Tickets include a three-course meal from Chef Todd Steele, a commemorative glass and your first beer or wine pour. We will have 16 local beers on tap, local wines and DJs spinning tunes, so stay for the day and see what we’re all about.